Well, I’m finally building again! I’m still medicated, but the nausea is MUCH much better than it was, and I’m able to be up and about for most of the day. It’s wonderful! 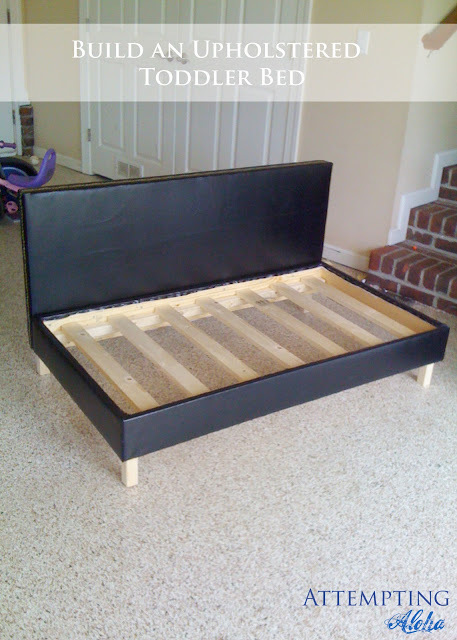 Before I started getting sick, I had talked to my friend, Melanie, about building a toddler bed for her youngest son. 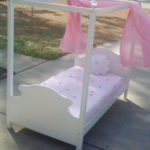 Since he’s her last baby, she wanted something that could be used for something else after he outgrows the toddler stage. We decided this toddler bed plan from Ana White was the perfect solution since she can make some cushions or pillows to go along the back after he outgrows the bed, and it can be used as a couch! Excellent! 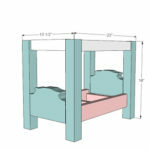 I used the plans for the headboard exactly, but we shortened the legs just a tiny. 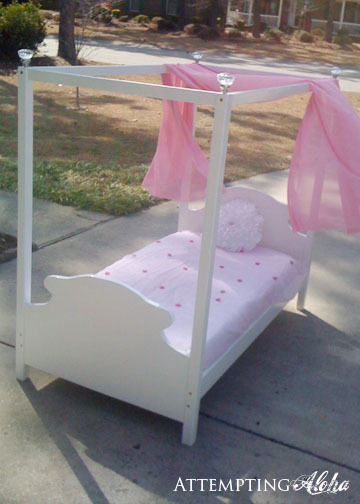 I ended up not doing the base plans but instead doing it more like the toddler canopy bed I did a few months ago. So you may have to ignore my base picture and just stick with Ana’s. 🙂 Hers is excellent as well (of course)! Melanie received a crash course in miter saw and nail gun safety and use. She was nervous but excited at first, and now I think I’ve created a building monster. I wouldn’t be surprised if she buys her own saw before the weekend. Even before we were half way through the project, she was already picking my brain about other projects she could do an wants to get started on. 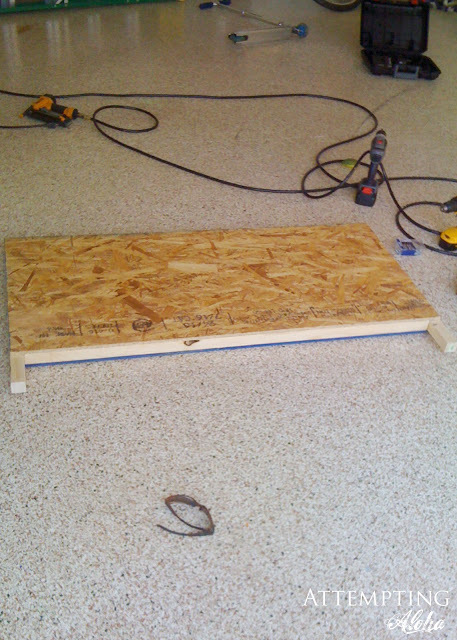 Two moms, 8 kids under the age of 9, and we were able to hammer out the building portion of our project in one afternoon. Yes, folks. Just one. Upholstering took another day since we were really tight on fabric. 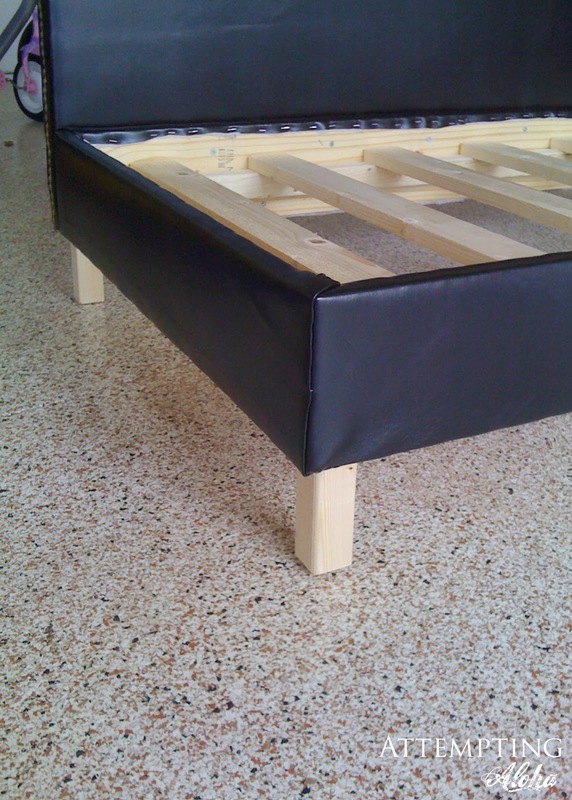 We used a black pleather, and it was only 54″ wide. Those extra 6″ would have been EXTRA nice. Same with the batting. It was shorter than 60″, so it took some negotiation. The pleather had to be cut very precise, and it took extra effort to stretch it just right and staple right on the edge. I highly recommend making sure you have at least 60″ width or you buy more than the specified 2 yards. You can see how we were just barely able to curve it around the top of the base section. It would have been nice to have it down another 1/2″ or so. Oh, well. 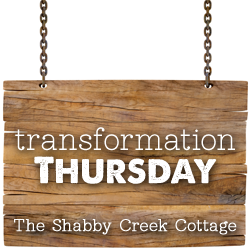 it still looks fab! 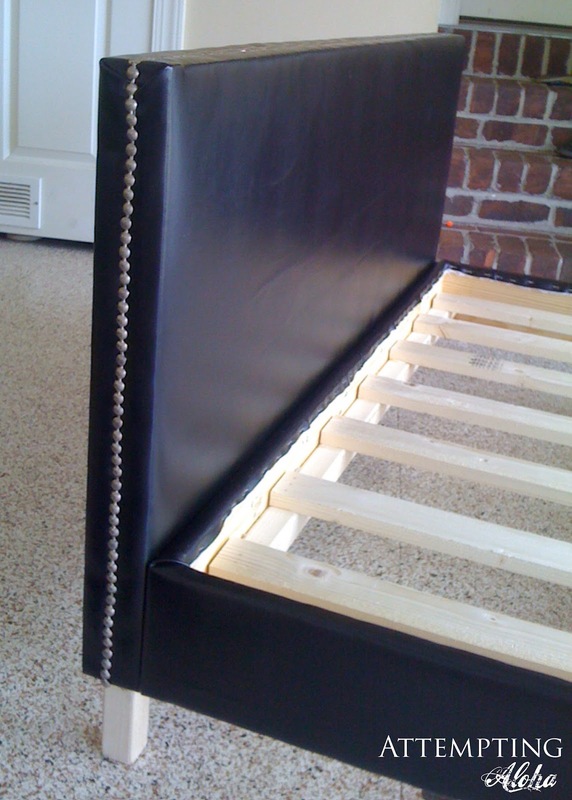 We added nailhead trim for a couple reasons. 1) It’s cute and adds some nice contrast. 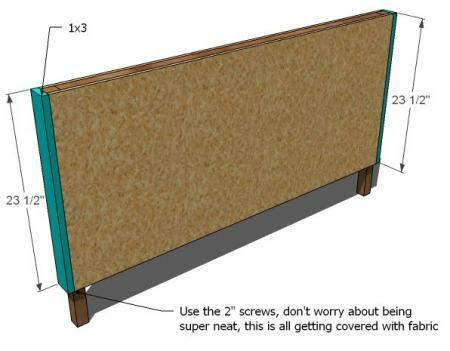 2) It covers our staples along the side without having to buy separate upholstery tack strip and dealing with that annoying task. Building with a friend is much more fun than building by myself. Not to mention much easier to have someone to keep things steady while putting everything together. I’ll be sharing my project at Gina’s party this week. Ahhh looks like so much fun! I love the bed, it's soo cute for words 🙂 And I want that saw! Thanks! This has been one of my favorite projects so far. 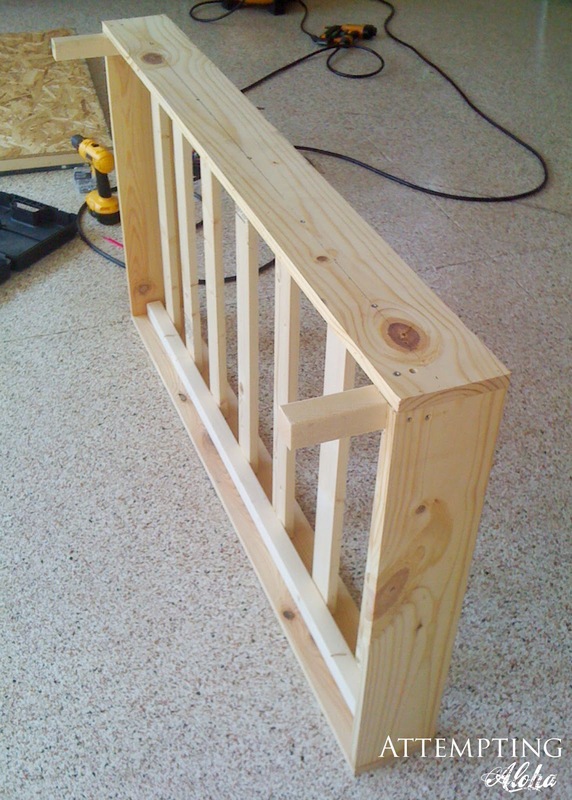 I'm trying not to put the cart before the horse by building one for my little guy (who's not even born yet! Ha! great idea!!! it looks solid!!! New Follower from Tip Junkie. Very cute! 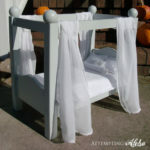 When we are done using our crib mattress, I might just have to make one of these for extra seating! 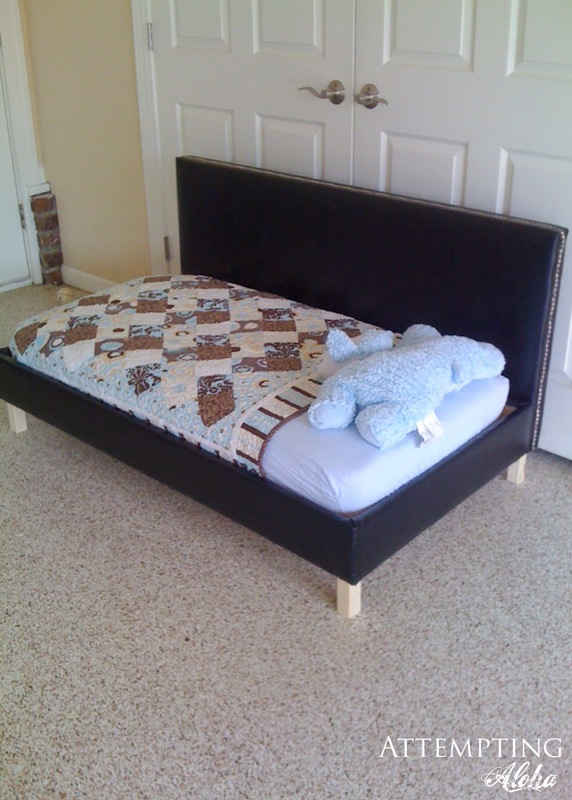 This version is very close to the ground, so it's great for a little kid's couch! 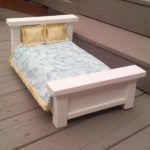 It'd be perfect with some back cushions if you know how to sew! Great job! It looks amazing! 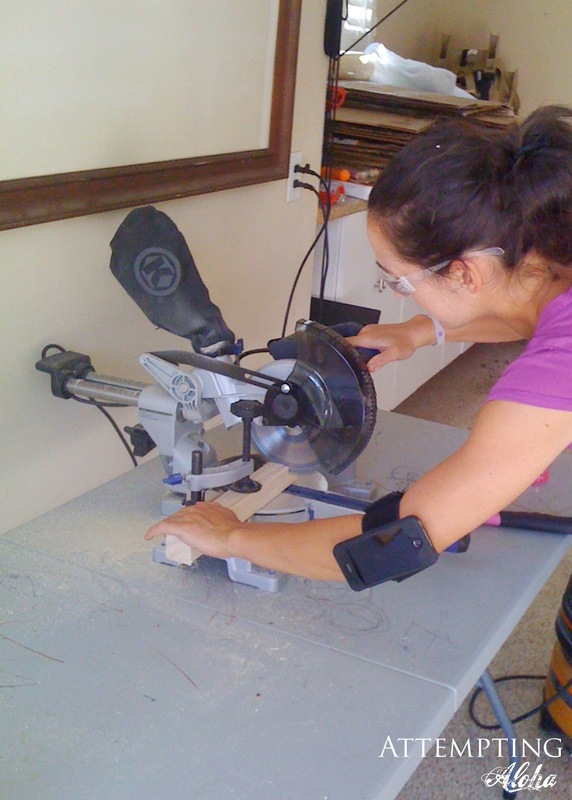 Love the little miter saw…it'd come in handy with the apartment we're renovting! Might have to check that out. Thanks so much for sharing and I'm so glad you're feeling a little better!